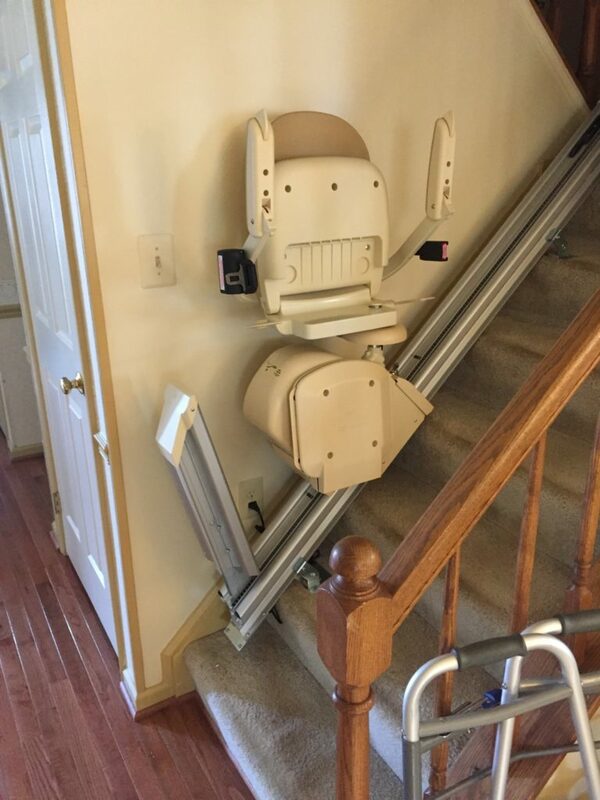 There are key health and therapy reasons – outlined below – for why Live In Place is the premier provider of stair lifts in the Northern Virginia-Washington D.C.-Maryland metro area. 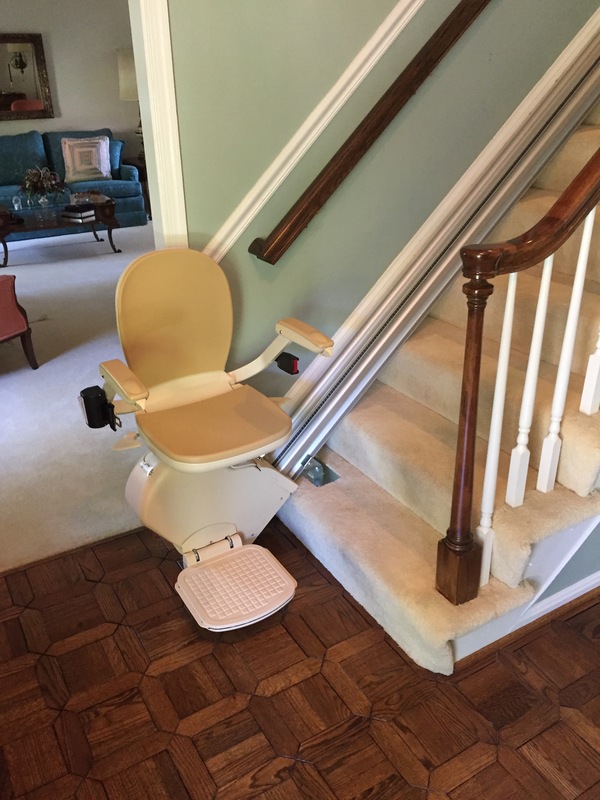 Stair lifts can provide help overcoming mobility challenges associated with cardiac issues, stroke or other neurological conditions, COPD, and other progressive health issues. We discuss in practical terms – based on the condition of your loved one – which choices to consider and why, as well as the direct benefits for their safety, accessibility, mobility, and comfort. 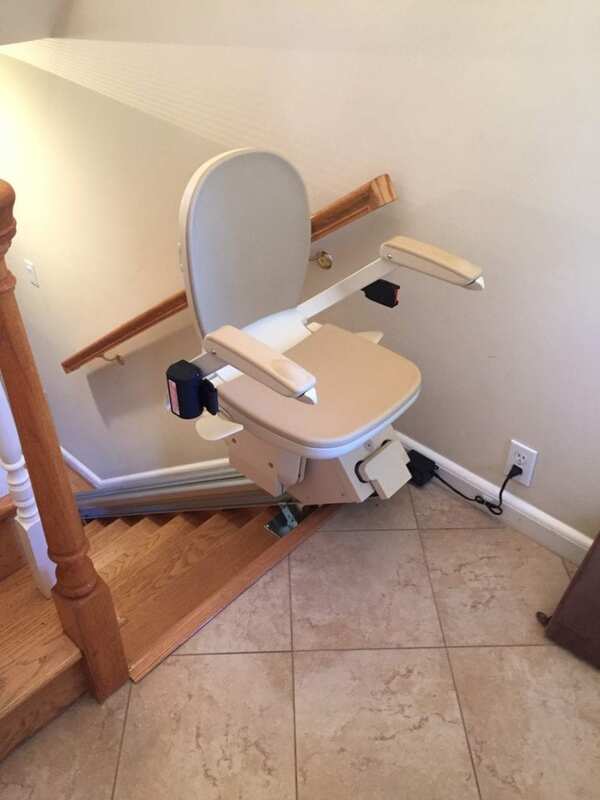 The stair lift modification can be installed immediately onsite or within days. 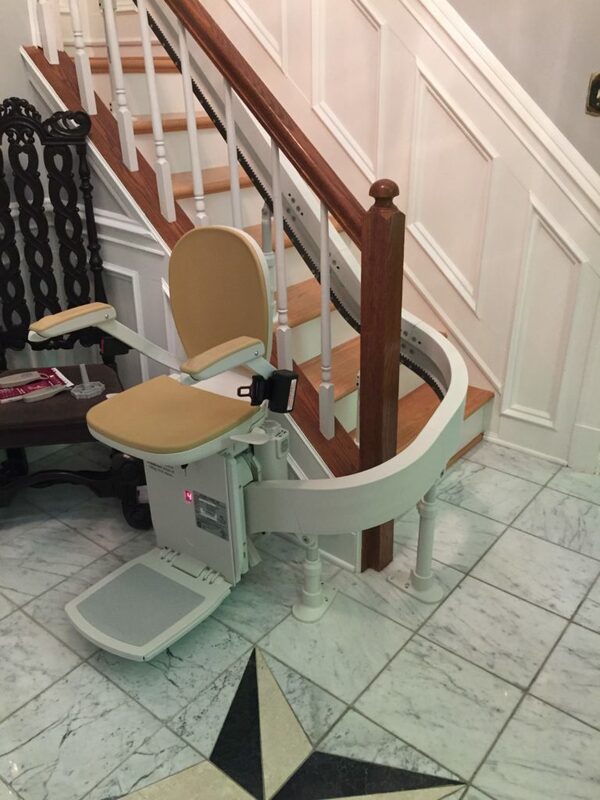 The curved stair lift modifications above can be installed immediately onsite or within days. 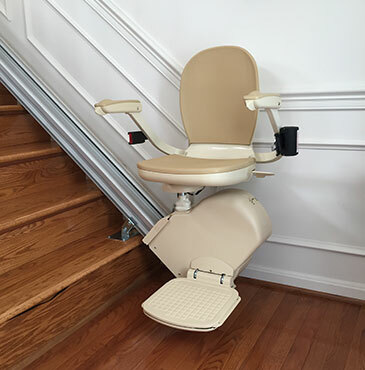 For more information about stair lifts, contact Live In Place at (703) 433-0380 or request a consultation.